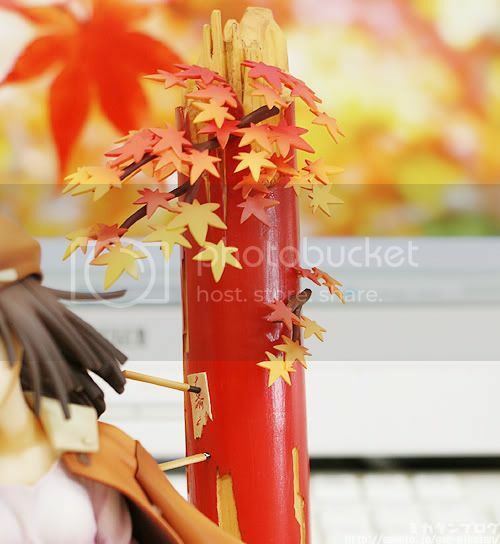 Here is the upcoming 1/8 scale PVC figure of Sengoku Nadeko from the light novel/anime Bakemonogatari. 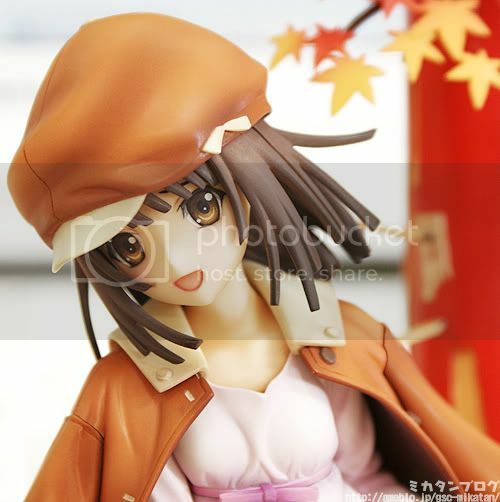 She will be the second in the series to be released by Good Smile Company after Senjougahara Hitagi. 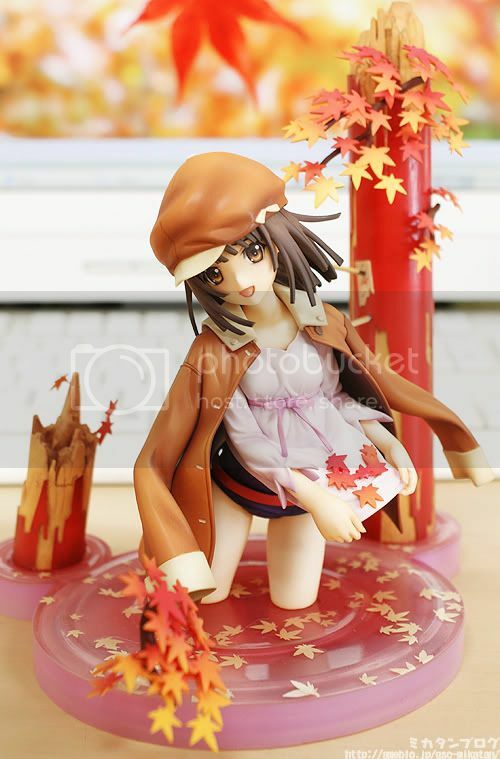 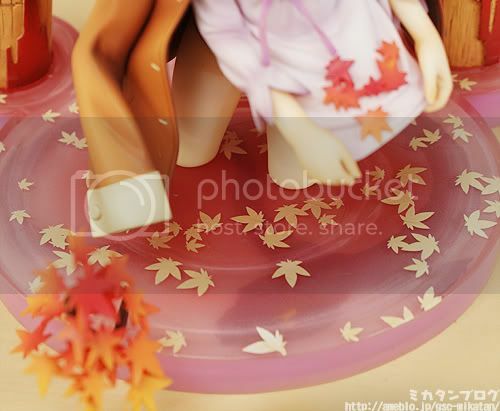 This Nadeko has a beautiful red-orange color tone, combined with pink shiny base. 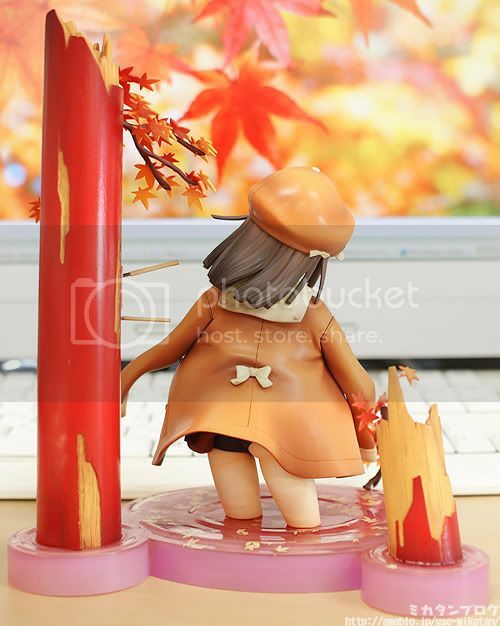 Her hat and jacket are removable too. 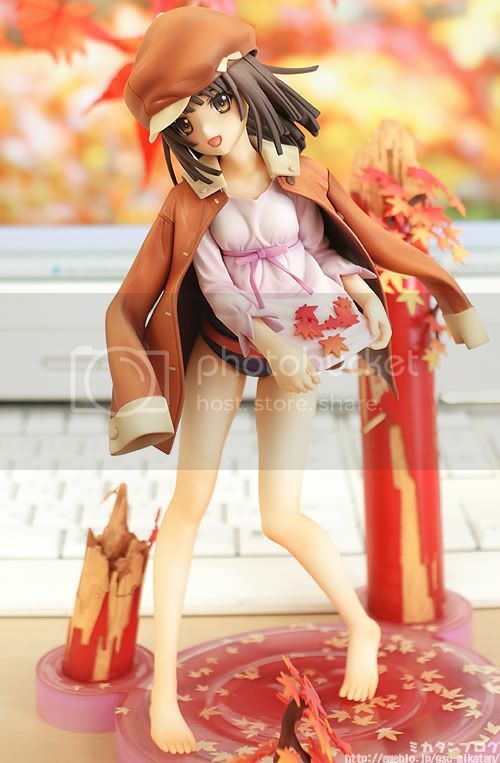 Reservation of her will be available on August 26th, 2010.